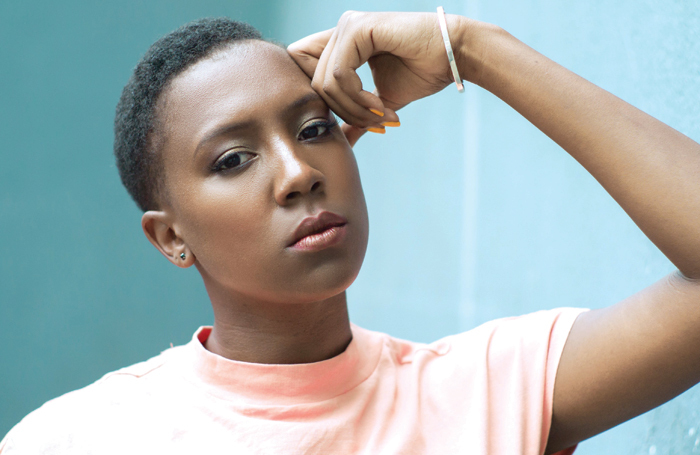 Despite being an acclaimed Shakespearean actor – praised for roles including Mark Antony , Queen Margaret , Hotspur and Ophelia – the playwright’s work didn’t always come easy to Jade Anouka. 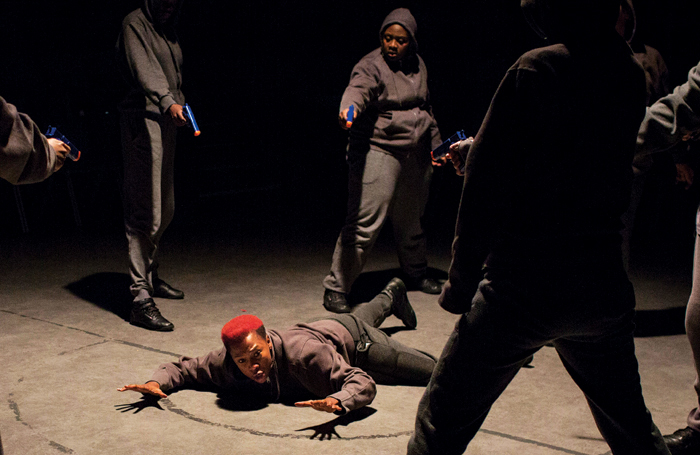 Anouka is talking about director Phyllida Lloyd’s Shakespeare trilogy at the Donmar Warehouse – Julius Caesar  in 2012, Henry IV two years later and The Tempest in 2016 – set in a women’s prison with an all-female cast. Alongside veterans including Harriet Walter, Anouka was repeatedly picked out as a standout in a strong cast. 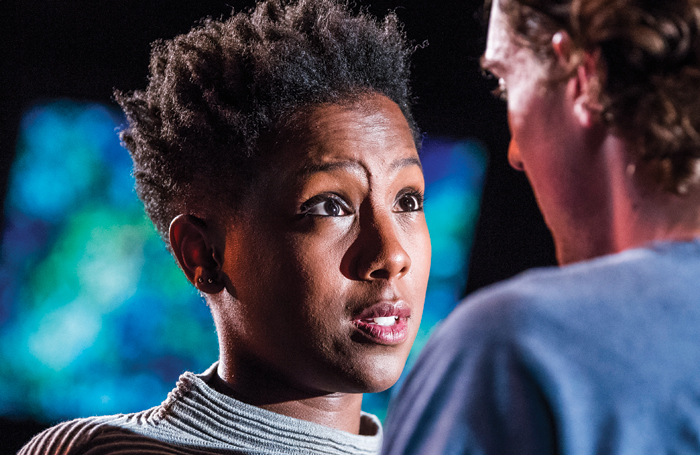 In Julius Caesar she initially played Calpurnia, Metellus Cimber and Pindarus – for which she won the first of two commendations at the Ian Charleson Awards, which honour classical performances by actors under 30. 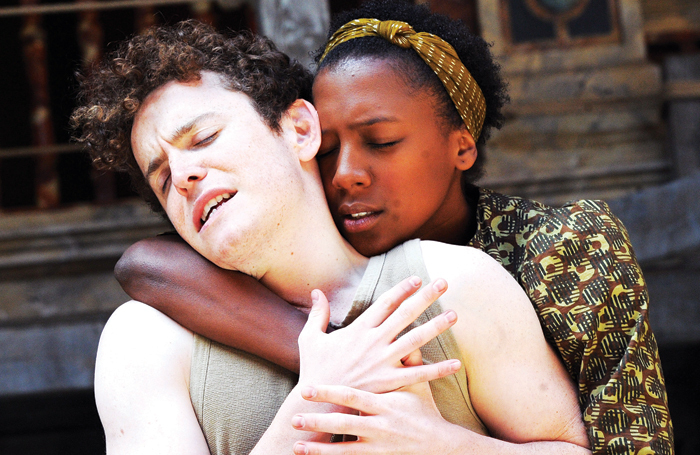 She was a thrilling Hotspur in Henry IV, whom she modelled on Olympic boxing gold medallist Nicola Adams. In 2016, the plays were remounted together by the Donmar in a pop-up venue in King’s Cross, and in addition to Hotspur she played Mark Antony in Julius Caesar – taking over the role from Cush Jumbo : “I got bumped up. Thanks Cush. She was doing [US TV series] The Good Wife” – and a poetic Ariel in The Tempest. The Observer picked out Anouka in its review of the remounted trilogy, saying she “crackles across all three productions: a startling, heart-catchingly young Mark Antony; a Hotspur springing around the stage as if she had helium in her heels; an Ariel who sizzles as she beatboxes”. The all-female casting of the trilogy “was a massive deal for me”, she says, “but it’s part of a sea change. It was such a big thing from such a major theatre, it really has helped. I’ve seen a massive shift, especially with Shakespeare”. As an example of the way the industry has evolved, Anouka cites Emilia , the Shakespeare’s Globe production – with an all-female cast – about the woman who may have been the ‘Dark Lady’ from Shakespeare’s sonnets. Its sold-out run has lead to an upcoming West End transfer. In Queen Margaret, playwright Jeanie O’Hare took the character’s lines from across four of Shakespeare’s history plays and created a new work about the Wars of the Roses from her point of view. It turned out the character has more to say than any other woman in Shakespeare. I was on the tills at Boots in Bluewater when I was about 16. It was a Christmas job. Everyone I knew got Boots toiletry packs for Christmas because I had a discount. Golden Boy at the Greenwich Theatre in 2003. It was off a ‘search for a star’ thing my dad saw in the local paper. I went and it had a week-long workshop at Greenwich with about 20 of us. A few of us were chosen to be part of the musical, which has only ever been done in England when Sammy Davis Jr played the lead. Jason Pennycooke, who is now in Hamilton, played the lead, and he was brilliant. Sally Ann Triplett was in the cast too. How to do tax. I hate it. When I was at drama school, why wasn’t there a self-assessment day? I was lost starting out. It’s not easy. Do I have to pick one? My grandma. She wrote songs, she was really creative. She was a massive inspiration – we’d put on shows and perform her poems to her. Maya Angelou, who I adore; I love how she uses her words to express important things. And Sophie Okonedo. She does amazing stuff and somehow balances TV, theatre, film. I saw her in Antony and Cleopatra, and I was captivated. Try to learn it, but if you can’t, what’s more important is to know what you’re saying. What are you actually trying to achieve with the words? Everyone can learn lines. I love drawing and I applied to university for Computer Aided Design. Although when I was little I did tell my mum I wanted to design the sets on Miss World. I always need to have a cup of water at every exit when I’m on stage. I don’t drink it, but I just need to know it’s there. 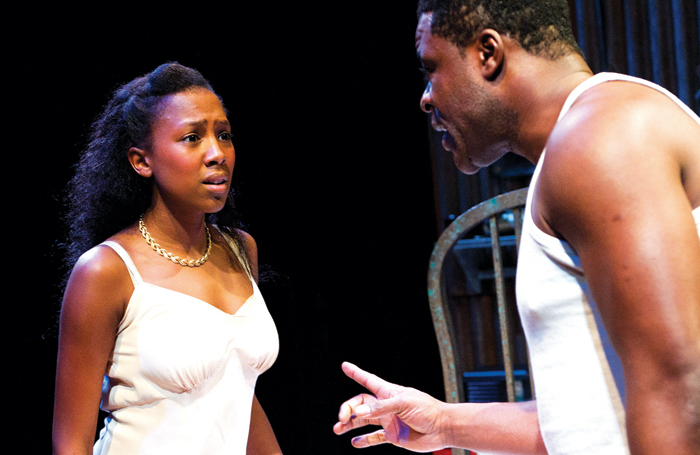 Bringing female characters to the forefront of productions, as well as gender-swapping roles, is a running theme throughout Anouka’s career, particularly on stage. Sabrina Mahfouz’s Chef, a solo performance about a woman who goes from head chef to convicted inmate running a prison kitchen, was an Edinburgh hit that won a Fringe First in 2014. Two years later, Anouka played the traditionally male role Wagner in Jamie Lloyd’s production of Doctor Faustus , opposite Game of Thrones star Kit Harington in the West End. She has also played more traditional Shakespearean roles for women including Ophelia – for which she won her second Ian Charleson Award commendation – and Juliet, both at the Globe. Growing up, Anouka thought she’d be an athlete, but a house move and “boredom” made her stop running the 800 and 1,500 metres. She loved performing at home and then at school, and found out about drama school. She applied to the National Youth Theatre , attending at the same time as Harington, before going to Guildford School of Acting . She continues: “There’s something I love about how scarily real it is. Even from the first production until now, we’ve seen how much closer we are to that as a reality.” Of the DNA testing craze, where people can send off samples online to find out where their heritage stems from, Anouka now feels wary. “I haven’t done it, because Ella freaked me out,” she laughs. Alongside her acting, Anouka is “equally” a poet, with her collection Eggs on Toast published three years ago. While she has performed lyrical pieces on stage before – most notably Chef and a recent work by Misty writer and star Arinze Kene  for his Remembrance event at London’s Old Vic – she has never written for the stage herself. Until now. 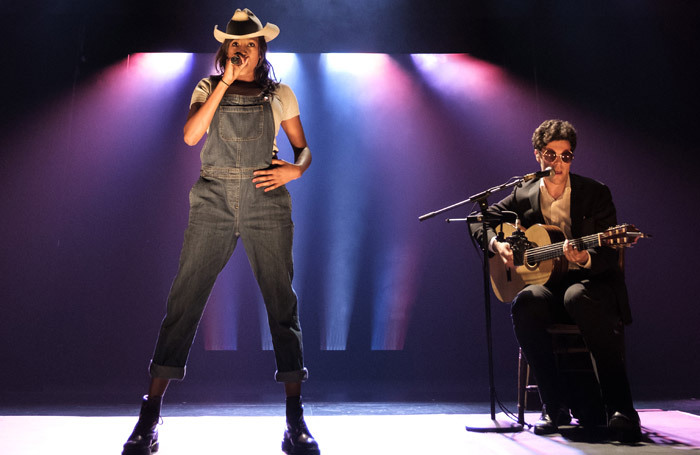 Around the time of her well-reviewed turn in the Old Vic’s Cover My Tracks  in 2017, with musician Charlie Fink, the venue’s artistic director Matthew Warchus described Anouka as a “phenomenon” with a “limitless future ahead of her”.